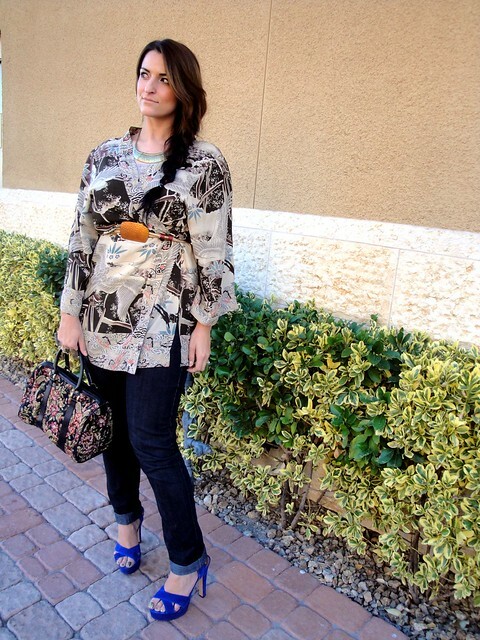 this kimono styled top is fabulous! Looks great with a simple and chic belt. That heels has a nice color accent too! Drinking enough water is a problem I battle with every day...sometimes it's hard to stop and take a sip when you are busy! I keep thinking I should try to fashion some kind of trendy camel-back holder that I can wear in public. Thanks for the reminders ..I really need to start taking my multi vitamins. But geez do they have to be huge horse pills .Uggh!! I like how you styled this kimono, the shoes are cute too!! 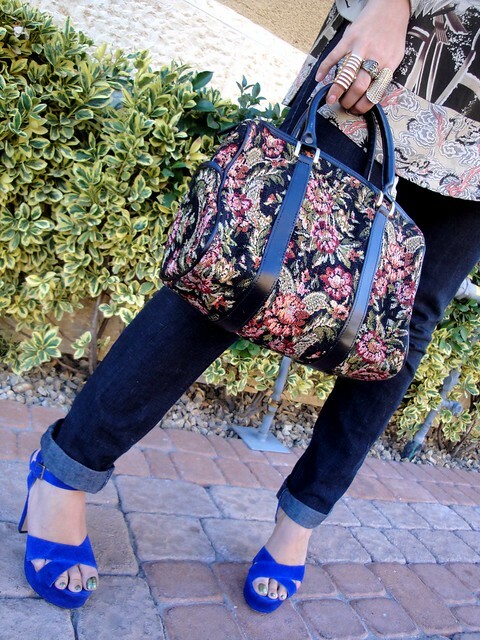 The kimono, belt, and shoes look good together. Great ensemble! 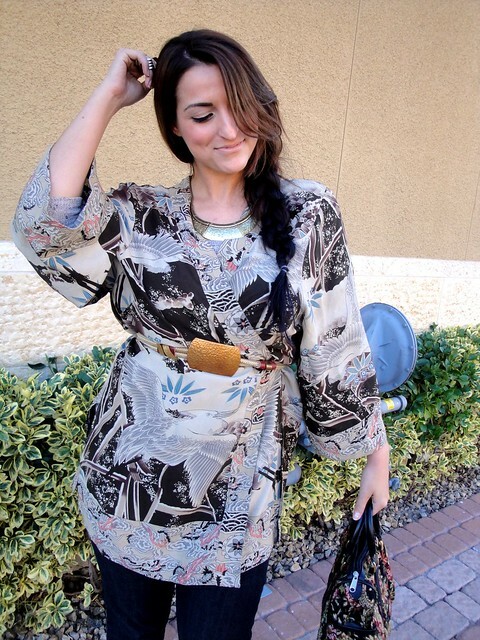 Love the kimono top! I have one and I'm looking for new ways to style it. It looks great with jeans. I love that kimono and the jewelry!